It was just at the end of October that the Journal of the American Medical Association published a study which found that children taking the latest generation of antipsychotic drugs gain significant amounts of weight -- as much as 18.7 pounds on average in just 11 weeks. Young people taking Eli Lilly's (LLY) Zyprexa gained the most compared to those on other antipsychotics. Researchers recommended that doctors prescribing those drugs keep close tabs on their young patients' weights. Despite that, on Friday, the U.S. Food and Drug Administration approved Zyprexa and AstraZeneca's (AZN) Seroquel for use in children. Specifically, Seroquel was approved to treat schizophrenics aged 13 to 17, and to treat the manic episodes associated with bipolar disorder in children and adolescents aged 10 to 17. The FDA has required that AstraZeneca implement a risk evaluation and mitigation strategy.Zyprexa was approved for the treatment of schizophrenia and manic or mixed episodes associated with bipolar disorder in adolescents aged 13-17 years old. While doctors have already been prescribing these medications to children, the wider FDA approval has brought renewed focus to the issue of the drugs' effects on them. It is perhaps no wonder then, that along with the approval, the FDA released a report from October prepared by its own Division of Pharmacovigilance. The reviewers have urged the agency's regulators to take another look at how these drugs affect children and adolescents. 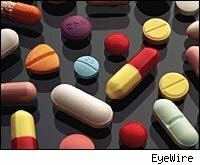 The drugs in question are in a class known as atypical antipsychotics, a newer family of antipsychotic medicines. They are approved to treat schizophrenia, bipolar disorder, depression and and other mental illnesses, but have increasingly been prescribed to children "off label" for unapproved uses such as attention-deficit hyperactivity disorder (ADHD). Other than Zyprexa and Seroquel, the reviewers examined Bristol-Myers Squibb (BMY) and Otsuka Pharmaceutical's Abilify; Johnson & Johnson's (JNJ) Risperdal; and Pfizer's (PFE) Geodon. They looked for three types of effects: metabolic, hormonal and extrapyramidal symptoms (such as involuntary movements). On Tuesday, the agency will discuss its findings, which showed increased reporting of metabolic effects, including abnormal weight gain, diabetes and increases in cholesterol, blood pressure and blood glucose, mostly with Zyprexa and Seroquel. In its press release, Lilly acknowledges the increased potential for weight gain and (elevated blood fats) in adolescents compared to adults, and the potential for long-term risks. A spokesperson for Eli Lilly acknowledged that its labeling of Zyprexa is consistent with the studies and the panel's findings.The Seroquel labeling, though, should be reviewed, the panel suggested. A spokesperson for AstraZeneca said that the company "fully supports the work of the FDA in conducting a full review of the benefits and potential risks of Seroquel in the treatment of pediatric patients." Zyprexa is Lilly's top-selling drug, with sales of $4.7 billion last year. Seroquel is AstraZeneca's second-best seller, with 2008 sales of $4.5 billion. AstraZeneca also signed a $1.24 billion antidepressant deal with Targacept Inc. last week. Both Seroquel and Zyprexa have been the subjects of lawsuits. AstraZeneca agreed to pay $520 million to settle accusations the company illegally marketed Seroquel for unapproved uses. Similarly, Lilly also paid at least $1.42 billion to settle individual and government lawsuits for marketing Zyprexa for unapproved uses.